Good boots are a staple to your uniform/turnout gear, that's the bottom line. 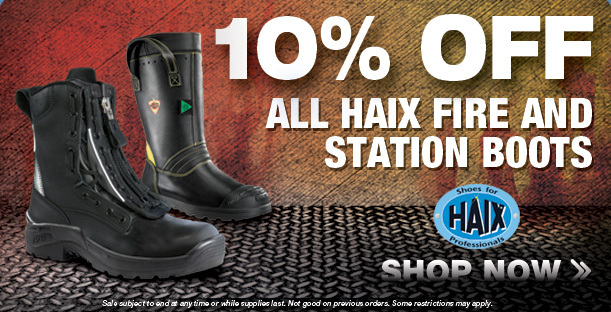 We're making it easy on you to get a great pair of Haix Boots at a great sale price this week! We're offering 10% off on a wide variety of styles and sizes that'll ensure a good fit and be a perfect match for you. 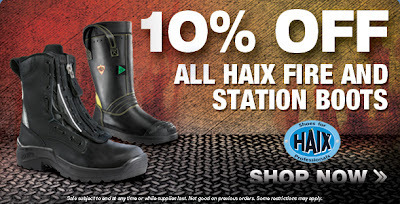 Whether you're looking for a great structural fire boot, a station/EMS boot, or a nice uniform shoe (and more! ), Haix is a good place to start your search. Comfort, reliability and good-looking too? Check, check, check! For more details and ordering information, please click here.